Pay League fees by the pre season meeting. Send a representative to the pre-season meeting held 2 weeks prior to the first meet and attend post-season meeting held 2 weeks after Championship meet. If requirements are not met or rules are not followed, schools can be removed from the league by majority vote. Provide necessary equipment, volunteers and other resources to ensure safety of team competitors at both practices and meets. Be part of VUSD if participating in the Elementary division. Must be identified at the Post-Season Meeting for the upcoming season. Any change in representative during the season must be submitted to the Middle School and Elementary School Commissioners. A simple majority of League Members at Large is required. There must be more than 50% of League Members at Large in order for a vote to take place. Present names for League Member at Large for each School team. Each participating school must pay $300 in league fees. This amount is due by the pre-season meeting held 2 weeks prior to the first meet. Must be enrolled at a member team school. Must be clearly marked with a uniform (p.e. , spirit, or xc uniform) from that team. Must run with their appropriate division. 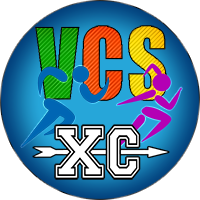 Runners in grades K-5 will run with the Elementary Division. Runners in grades 6-8 will run with the Middle School Division. Elementary School courses will be approximately 1 mile. Scores will be determined by adding the places of a team’s top five finishers. Only athletes who have competed in at least 4 regular season meets are eligible. Individual awards will be given to the top 25 in each race. If Issues/protests that arise at the meet, must be brought to the meet director. The meet director along with the commissioners (Elementary and Middle School) will resolve the issue. Rule amendments and additions need to first be proposed at the post-season meeting, then voted on by Members at Large at the pre-season meeting. Voting rules will follow the voting process in Rule 3.